Thoroughly enjoyed Nevada Barr's Blind Descent. Once started reading it, didn't want to put it down. Anna's coworker is hurt while exploring a deep underground cavern in Carlsbad Cavern's. She wants Anna by her side. Only problem, Anna is very claustrophobic. She battles her fears as she goes deep underground to help rescue Frieda. Mix in the fact that someone deliberately tried to kill Frieda and doesn't want anyone to get back to the surface. 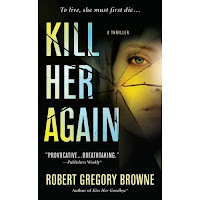 Kill Her Again by Robert Gregory Browne. One of the authors who blogs at Murderati. Well written thriller about Anna, a FBI agent who has been having visions of a kidnapped little girl since she was seriously injured on the job. While investigating the murder of a family and the disappearance of the little girl, the visions keep reoccuring. Supernatural elements come into play when a hypnotist tells Anna the girl in her visions is her from a past life. Spooky, scary and very interesting. The Ark, the Reed, & the Fire Cloud by Jenny L. Cote. Excellent children's book about animals traveling from all over the world, following the fire cloud to Noah's ark. Scottish dogs, French and Irish cats, Russian polar bears, Spanish Bull and cow, and and a wide assortment of other animals. Fun read for both James and I. The Red Siren by M.L. Tyndale. 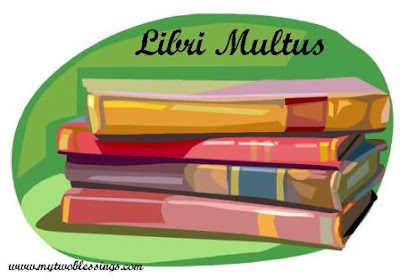 Christian historical fiction story in which Faith, determined not forced into an arranged marriage by her father, becomes a pirate in order to make the money to support her and her sisters. In the process, she's abandoned her faith, but through her relationship with Dajon, Captain of the British Royal Navy, starts to believe again. However, what will happen when he discovers she is a pirate. Oooh, that Kill Her Again book sounds very interesting. Just my kind of book. Thanks for the review. I want to read The Ark now!! I love your short reviews they're really fun to read!! I love the Nevada Barr series. I hope you continue with that series. I'll remember the Ark book for Christmas and birthday presents! Pirates in a Christian Fiction novel? Hmmmmmmm.